Posts tagged "school shopping virginia"
What happened last weekend when I wasn’t here….AKA I thought I was going to die. So last weekend this blog was quiet. There is a really good reason for that.We went camping….and shopping….and we ate out at a really yummy barbecue place….and it rained so we played card games….and Karol almost killed me. Yes, she almost killed me. But to tell you that part of the story gets ahead of the rest so you will just have to wait…. We decided to take a long weekend and go camping on Thursday, Friday, Saturday and come home on Sunday. We actually do this almost every year during the first weekend of August. You see, Virginia has a tax free shopping weekend the first weekend in August. 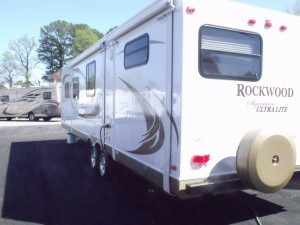 This “tax free holiday in Virginia” is for school supplies over $100.00, clothing and shoes, so we take the boys back to school shopping at the Williamsburg Outlet mall and we camp at our favorite campground: The Williamsburg KOA. This year was a little different. Brandon has moved to Tennessee and so he wasn’t along, and Joe Cool was on vacation with a friend, so he wasn’t there either. Although I did get VERY brave and purchase him some jeans in his absence. If you have teenagers you will understand why I say that is brave of me. You NEVER purchase them clothes without their approval, unless you want to take it ALL back. Fortunately I knew he loves the jeans from PacSun, and so I would be safe. So we went camping on Thursday so we cold shop on Friday. We thought it might be just a BIT less crazy because some people would be working,. We knew Saturday would be a nightmare. So we went shopping and we did very well at PacSun. Not only was it tax holiday but retailers aren’t stupid. They had great sales like BOGO free on jeans, and buy one get one 1/2 off on shoes….I am sure they made a killing! Interestingly the person who ended up with the most loot was Karol. So that was the camping part, and the shopping part. I was really glad we went shopping on Friday because it rained most of Saturday. So Karol was forced to play games with us inside the camper. She hates games, but we talked her into a game of Phase 10. we can usually talk her into a rousing game of War too, but the Phase 10 game lasted a LONG time, so we were glad to get at least one game out of her. On Friday after shopping we knew we weren’t going to want to cook, so we stopped at our favorite Barbecue joint in Williamsburg, Pierce’s Pit BBQ, and grabbed our dinner and took it back to the camper! YUMMY! Okay, so we have covered the shopping and the food, and the rain, and the games, now the meat of the story where Karol tried to kill me. You know, I have heard and read that when you think you might die your life flashes before you. That didn’t happen to me. I didn’t see my life. I just saw the guard rail and the ditch behind it. Immediately after she finished the turn, I just busted out crying. The Genius said he thought I was laughing. He thought that because he thought it was FUN to take the turn that fast! Ummmmmm, okay?? Then he thought it was equally funny when I stopped crying and said, “I thought we were going to die, for real.” Kids……. Yup, just a typical weekend in the Roobat household.